1. The tuber is annulated, more or less elongate to ovoid in shape. The roots only surround the central shoot (Figures 4, 5, 6, and 7). Figure 7. 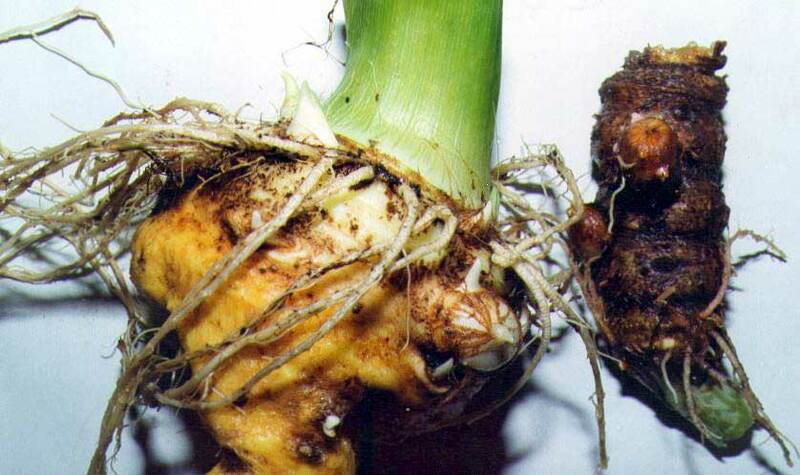 Compare the tubers of A. galeatum (left) with A. speciosum (right).